Winter weddings in black and white can be a challenge due to the limited supply of brightly colored flowers in the colder season. 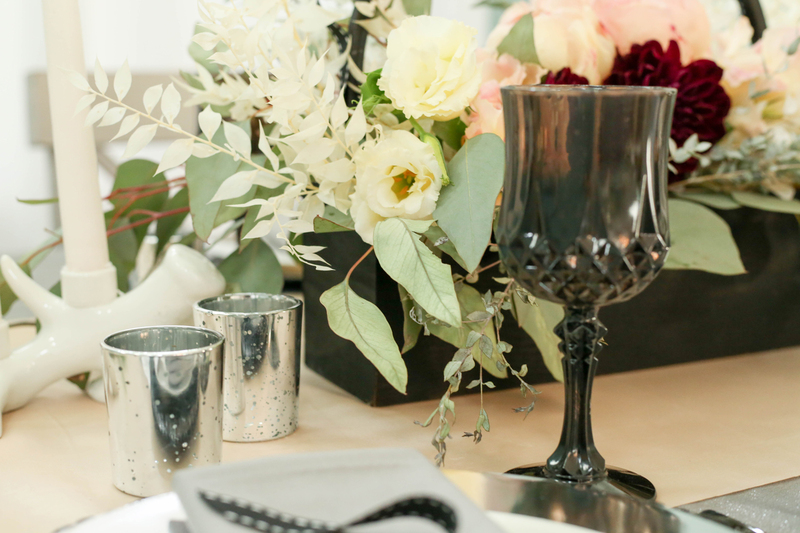 A winter wedding can be beautiful just working with the elements of nature that are available in season, and going with a black and white theme is a step in the right direction. 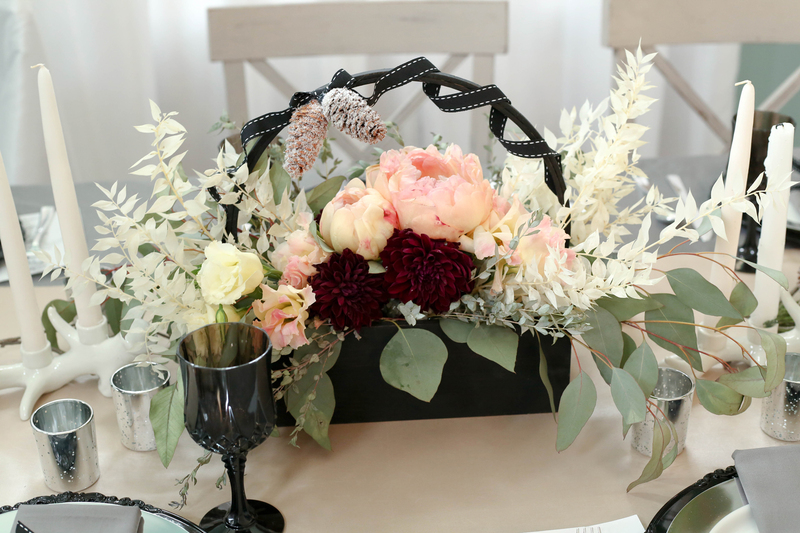 A handmade centerpiece with ribbon adorned hoop and frosted pine cones is a delight when filled with fresh peonies and dark burgundy dahlias. Bleached ruscus, eucalyptus and evergreen boughs make up the unusual combination, and it’s a match made in heaven. Chocolate and more chocolate make the base for these decadent chocolate blackout cupcakes. They’re loaded with devils food cake, chocolate chips and chocolate pudding, then topped with pure white, fluffy marshmallow frosting. It’s quite simple to make on the stove with just a few ingredients. 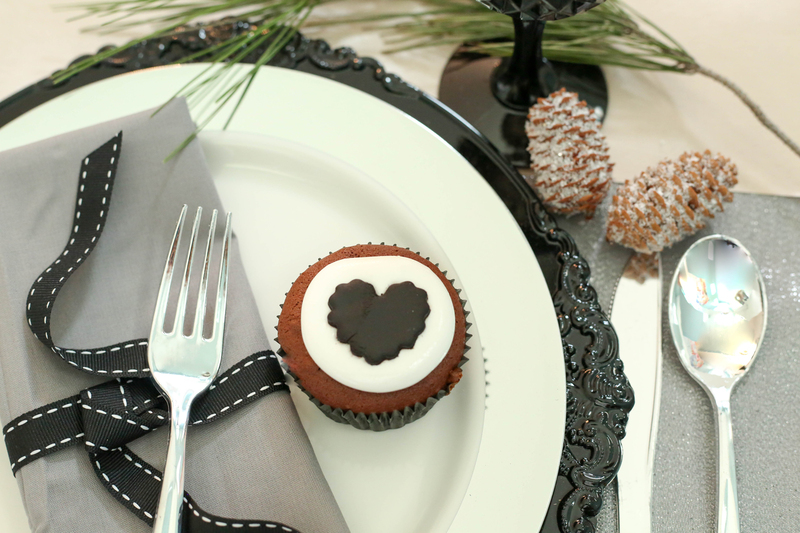 Elegant for a Black and White Winter Wedding, lovely hand cut black fondant hearts top off these delectable cupcake treats, which are perfect for black and white events of all types. Christie Troxell is a Designer, Artist, Brand Ambassador and Professional Event Planner; beautifying the world, one project at a time. Her motto is, "There are no rules; celebrate everything!" Contact Me!